This I like. Apparently a compilation of sorts collected from various dates over six years. Here we have a healthy and well directed mix of electronica, pop, rock, rap, beats and oddball esoteric odds and ends. Side one opens with "Istanbul", a soothing yet tastefully melodic journey that lands you at "Green Bicycle", a simple rap over beats. The intrigue continues with "Give Up The Goods" and you begin to realize that this is going to be some adventure. Compilations risk sounding like a hodgepodge of assorted, non-related tracks (which they often are) that simply don't flow as a collection. Kalou somehow avoids that clumsiness while still maintains interest through the sheer diversity of this outstanding collection. Subtlety plays a major role here as nothing is over produced and the power of the melodies manages to stay head above the water ongoing. Kalou is likely just Samuel Shelton Robinson, who wrote, produced (and sampled) everything contained herein. The tape is packaged in a standard Norelco case with color j-card. The reverse has track listings and contact info. Also included is the artists business card and, oddly enough, a Tone Loc Pro Set MusiCard. Go figure. After writing this review, I found myself returning to this collection often. 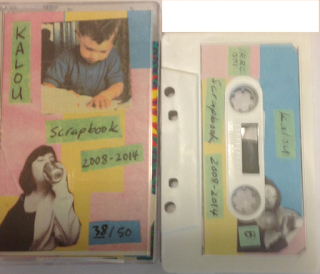 Admittedly it's early in the year, but this is the best cassette issue I've heard so far in 2016. Listening to multitudes of tape releases can be trying business, but this kind of discovery is a renewal of faith. Highly recommended. Sleep. You do it. I do it. Max Richter does it. Coffee fights it. Lack of it makes you crazy. Too much of it makes you feel sluggish. Seven to eight hours of it is perfect. Right now, this morning, I’m awake after seven or eight hours of it. I’m in a good mood. That bodes well for this review. Nicola Corti and Moon Ra (aka Marie e le Rose, aka Monologue) were intrigued by sleep, much more than you or I likely would be, since the average among us spend all of our time while doing it … well, actually sleeping. But still, it’s fascinating for the conscious person to wonder what happens within the mind while it sorts the day’s activities mid-slumber, to imagine how the firing synapses conjure images or scenes that seem completely alien to the sleeper. Ever keep a dream journal, one of those notebooks you leave by your bedside and scribble in at night when you’re jostled awake by events in your dreams? Me neither. But I bet it would look absolutely crazy (read, probably ridiculous) in the full light of the morning. “A Dream” gives the listener some repose, some rest, and is a bit gentler, but that’s before the almost eleven-minute “Hyncoubous” kicks in, a massive chaotic structure that only gets weirder the more you listen to it. It’s my favorite passage on the tape in that it gives you no real idea where it’s going next, no real grounding in anything. It’s unpredictable. “Outro – Woke Up” is also the best approximation of the vivid dreams you have in the morning right before you realize that sunlight is now creeping around the corners of your curtains. I don’t normally like to dig into specific tracks one by one, but E.S.P. has such an interesting take on sleep that it’s hard not to be surprised by how well thought out this whole exercise is. It promotes new ideas that wouldn’t necessarily have been obvious without its help. And even though “sleep” is a fairly popular concept among ambient/classical artists, it’s usually tackled in a more subdued, tranquil way. E.S.P. is anything but tranquil, and thank goodness for that. These cuts are the scraps. What, the music, or the meat? I don’t even know anymore. I’ve been accustomed to Cheap Meat for a while now, in that all my lunches are bologna. All my dinners are “TV Dinner”s. Don’t even ask about breakfast. All day, every day, the lo-fi-ness of my diet bleeds into the reality of the music I ingest. Gritty, distorted funk guitar and bass runs obscure gritty and distorted vocals. Or is that the consistency of my food? There are four songs. There are four compartments on my TV dinner tray. Coincidence? You decide. Demos is over in a flash, choked down in less than seven minutes, before the first commercial break. I guess nutritional value aside this stuff tastes OK sometimes. Sounds OK? See, I’m still confused. Who are RSS B0YS? Shut up, it doesn’t matter! If you need to know more than that there are two of them and that they’re Polish, you’re not paying attention to the right things. It’s the music, man, not the people behind the music. Lock the questions away in your mind and never ask them again. You might find you don’t like the answers anyway. What I can tell you is this: RSS B0YS don’t eff around. They operate in some post−Wax Trax! universe where Chicago industrial evolved into black hole−massive techno, where bass and beats collide at an atomic level with chords and melodies that will snap your neck with the amount of involuntary double takes you’re liable to be inflicted with. They blast you at times with breakneck passages (see the diabolical and diabolically catchy “R00N 0N”), and at others the tunes are smooth as glass, or the “chillax” setting of your iTunes visualizer (see the diabolically catchy “BYRD R00N”). 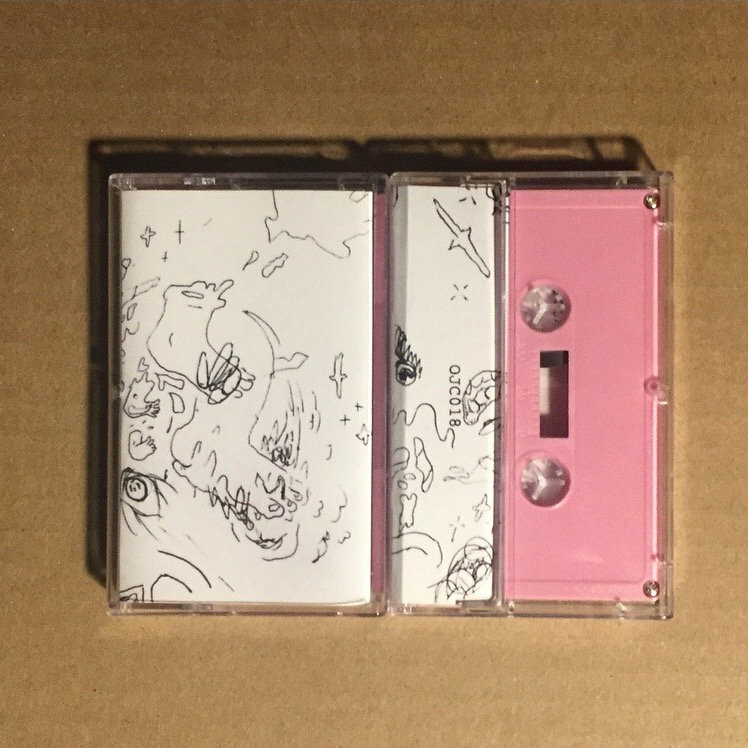 But the best part about B0DY FL0W is that the entire thing acts like a wonderful mixtape primer of everything that’s great about electronic music. It fulfills the promise of its title in that it FL0Ws perfectly from one track to the next, from one minute to the next. By the time the ten-minute “N00R” winds down, you should be exhausted, because there’s just so much going on here. Speaker Footage has found their poster children, their label mascots in this duo. But what is it with all the zeroes? Is it an homage to binary coding, and as such an homage to the homage of the name “RSS B0YS,” serving as a reminder of RSS feed content delivery? Maybe we’ll never know. You know why? Because we should never, ever, ask questions about it! Just let it ride and vibe out. 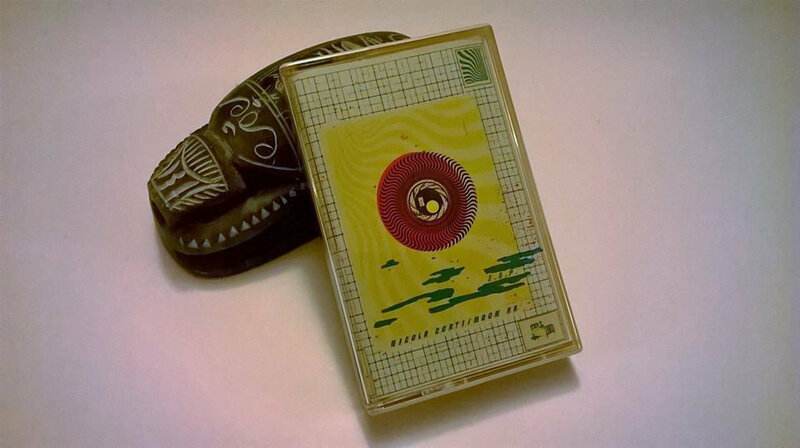 I know you remember the review I wrote for Evan A. James’s self-titled tape on Adhesive Sounds, because it was your introduction to the man’s masterful work. Thank you, thank you. He’s at it again with Falling Out with Number 1, twelve tracks of inventive and experimental jazz-tinged electronics, and kids, if you expected a sophomore slump, fuhgeddaboutit. James is as in tune with his compositional chops as a kickboxer’s feet are to his opponent’s face. That means Evan A. James is kicking the living crap out of all other genre wannabes. End awkward metaphor… now. Still recalling Badalamenti at times, but also reaching into the Orange Milk Records roster for inspiration (e.g. label honcho Giant Claw), James reveals his restlessness throughout Falling Out, presenting here his tunes in bite-sized chunks that barely ever reach three minutes in length, yet better serve the album as a whole by their brevity. 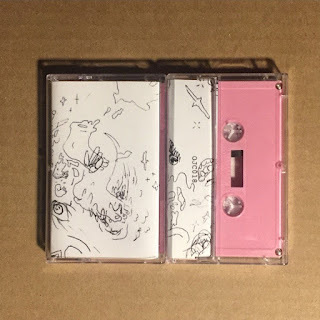 It’s easy to see this play out through the first few tracks, as “Bleakarcade” opens the tape with fidgety vaporwave before transitioning into the chamber synth of “Alch,” complete with processed vocal samples (there’s the Giant Claw comparison). Then “Tumble” manifests itself, all one and a half minutes of jazz bass and strings, totally jostling the listener out of any sort of pattern. This sort of stylistic dance keeps repeating over the full course of the tape. It’s not a stretch to suggest that Falling Out with Number 1 is one of the most inventive listens you’ll encounter thus far in 2016, and here’s hoping that Evan A. James brings more of this A-game action to future releases, hopefully in the very near future. For now, go back to “Bridge, where human voice samples are matched with mournful strings for a powerful effect. Or “Transparentradiosong” or “Danse,” each equally emotive, for more down this same path. 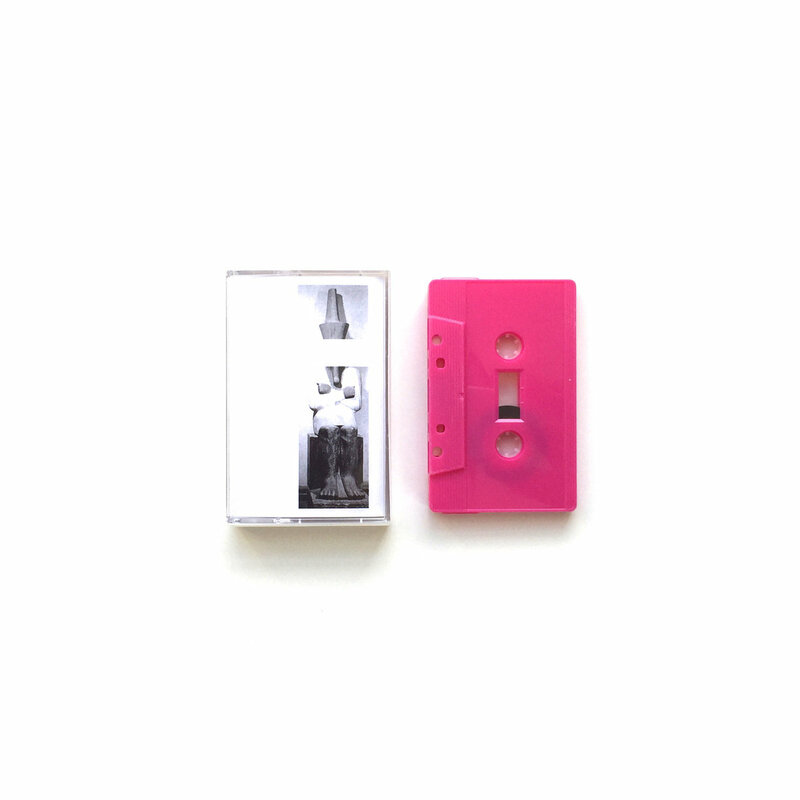 Or, heck, even “Fallingoutwithnumber1,” which ends the tape and flips the whole thing on its head by going in for the electronica kill – kickboxer style – complete with “pop chorus” … ish. See? I want to talk about every single tiny part of this tape – all of it is worth obsessing over.